Barney’s Version definitely has its flaws, but Paul Giamatti ditches the shaky, neurotic routine and delivers a boisterous and compelling performance that duly compensates for the film’s shortcomings. 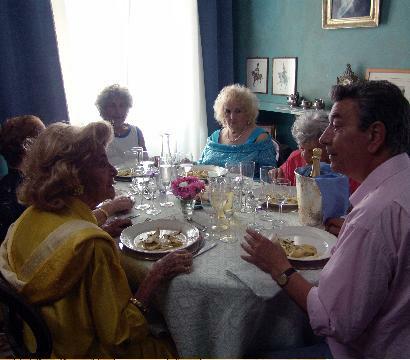 Trailer Review: From the creators of Gomorrah, Mid-August Lunch is the happy-go-lucky tale of Italian mamas, gastronomy, and improbable friendships. The film, which stars writer/director Gianni Di Gregorio, offers a delectable slice of suburban, Roman life that is tastier than a slice of a bona fide Italian pizza pie. Using a semi-improvised approach, Mid-August Lunch examines trans-generational issues with both benevolence and a hearty helping of playfulness. Gianni (Di Gregorio) is a broke, middle-aged bachelor living with his elderly mother who is not at all shy to make her opinions known. For Gianni, caring for his mother is a full-time job, leaving him with little time for any actual money-making. As a result, one situation leads to another, and Gianni suddenly finds himself as the caretaker for not only his own opinionated mother but for three more feisty nonagenarians as well. The beguiling issues that arise in this charismatic, kitchen-sink comedy involve many fraying tempers, which result from living in a henhouse full of stubborn and demanding mamas who refuse to live according to the Feng Shui rules that Gianni has laid out for them. The trailer for Mid-August Lunch relies heavily on the use of character dialogue to get the story ball rolling. As Gianni’s harridan syndicate increases from one to four, the trailer shows clips of him and his multiplying mamas and attempts to incorporate droll instances where he is at the mercy of their caprices. The instances evinced in the trailer are indeed amusing, but their arrangement isn’t very effective at instilling a desire in the viewer to go see this film. Moreover, as a film that is primarily concerned with its characters and their relationships with each other, the trailer for Mid-August Lunch does little in the way of fostering any real character understanding. 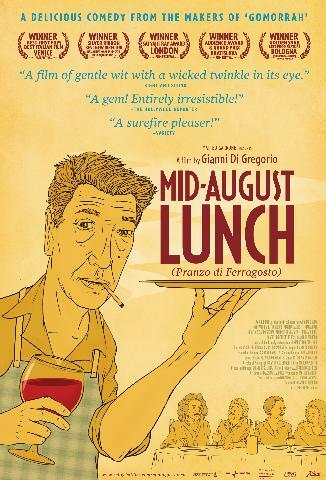 Mid-August Lunch appears to be the kind of film that is rich in natural comedy and beautifully drawn characters who would jump off the screen if given the chance. Unfortunately, however, the trailer for this film is only half hearted in its efforts to convey the warm spiritedness of its characters. Check out the trailer for Mid-August Lunch below. What do you think? Check out the trailer for Rudolph the Red-Nosed Reindeer below. It may have just been a T.V. special, but even decades later, this heart-warming shout-out to nonconformity has not lost any of its glow. With cheery tunes and delightful characters, like Yukon Cornelius and Hermey the molar-loving elf, Rudolph the Red-Nosed Reindeer is a must-watch, holiday special that will…well, it will go down in history! Check out the trailer for How the Grinch Stole Christmas below. In this rendition of the classic Seussian tale, Jim Carrey gives a superb performance in the title role. Unfortunately, however, it’s not enough to save the film, which, like the Grinch, has a heart that’s three sizes too small. So, given the choice between the Ron Howard Grinch and a sea sick crocodile…well, I’m not much for nauseas, man-eating reptiles, so I’ll just stick with the 1965 cartoon version. Check out of the trailer for Home Alone below. This is the tale of every elementary school kid’s anarchical dream come true – no grown-ups in sight and the freedom to scarf down buckets of ice cream and stay up past bedtime. The first half of the film dawdles along like a family of gimpy ducklings trying to the street. But thanks to the mischievous precociousness of Macaulay Culkin, life is breathed into the film, and it is able to be carried through to its rambunctious conclusion when the two bumbling burglars enter Culkin’s elaborately designed booby-trap, which is hands-down the highlight of the film.